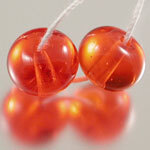 Click here for other interesting Tangerine Ltd Run discoveries. 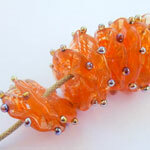 "Here you can see in the bead on the right that I had some trouble striking this glass. 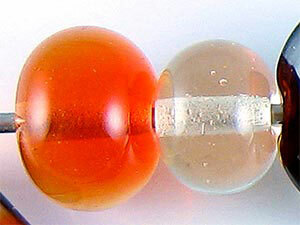 The bead on the right is reduced, so either I didn't strike the glass properly before reducing it, or striking it in the reduction flame unstruck the colour. It's sort of hard to say without conducting some more tests to be sure." 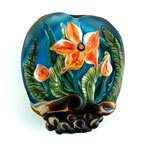 Read more at Melanie's blog. 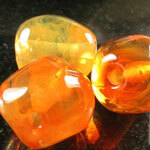 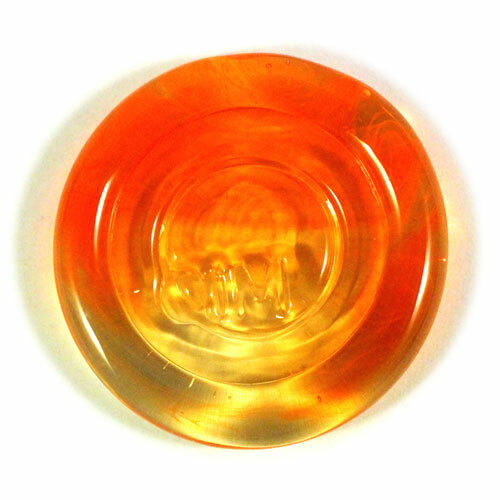 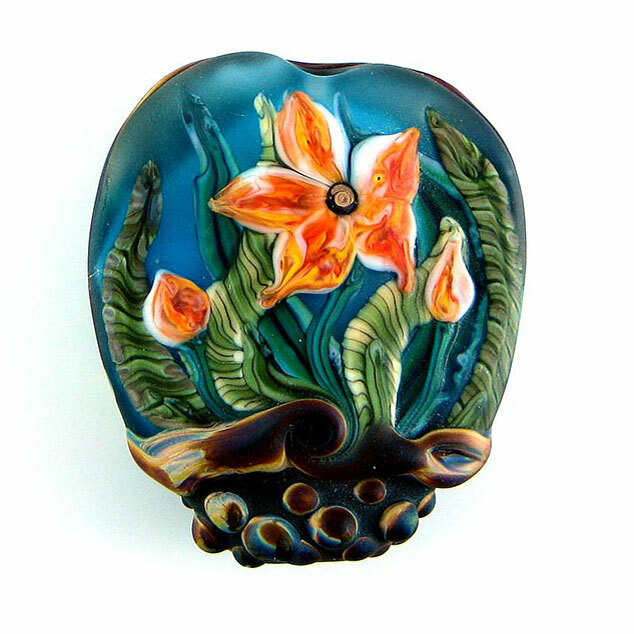 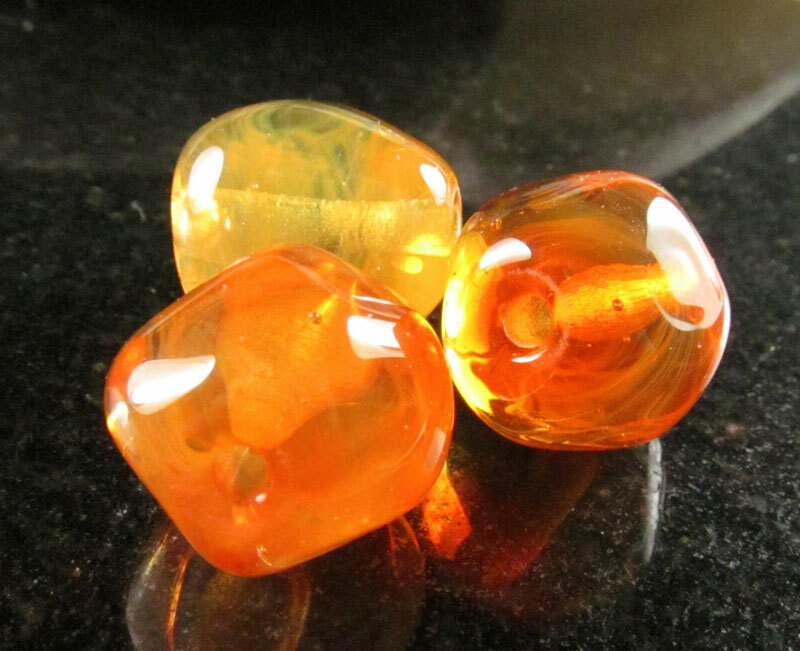 "Tangerine is a lovely shade of glass, this trio of nugget beads have pretty wisps and striations and colour variation. 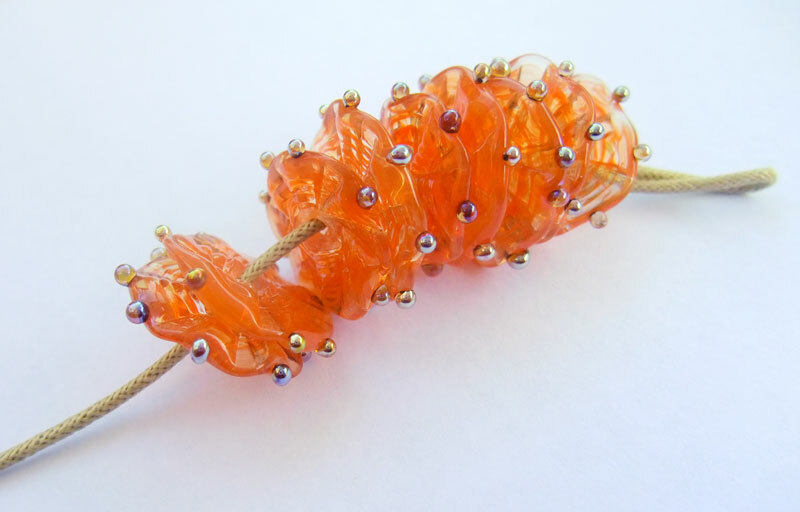 I found it nigh impossible to strike Tangerine to a consistent single shade but the ethereal look of these nugget beads is just delightful." 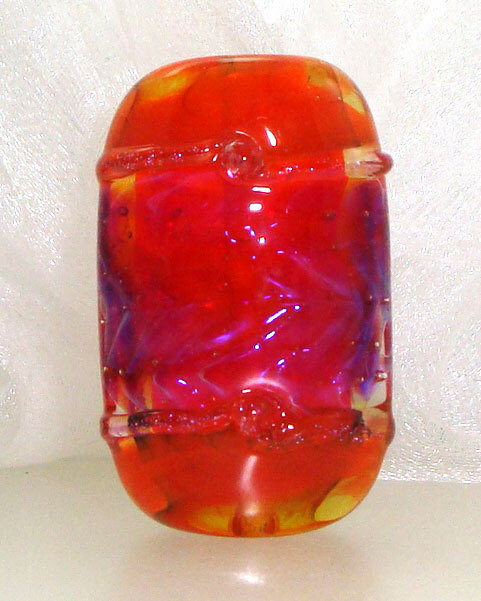 Read more at Jo's Kitzbitz Art Glass blog. 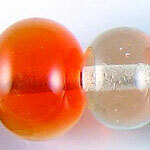 "The rods in my sample pack were inconsistent in look with some rods being completely transparent while other rods took on the classic filagrana style appearance with an opaque seam of colour running through the centre."